The Indian Ex-Servicemen Movement — hereafter referred to as IESM — is an All India Federation of Ex Servicemen’s organizations. The term ‘Military Veterans’ refers to retired personnel of the Indian Army, Indian Navy and the Indian Air Force. 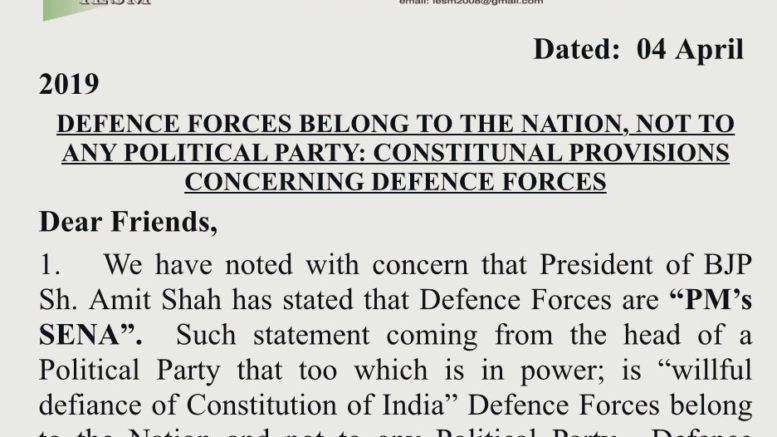 In a letter dated 4 April 2019, the IESM wrote that the defence force belongs to the entire nation and not any political party and statement coming from BJP chief Amit Shah is willful defiance of the Constitution of India. The letter further stated that Defence Forces are to render National Security Advice to the government of the day and execute lawful Govt Defence Policy. The Election Commission has issued a show-cause notice to Uttar Pradesh Chief Minister Yogi Adityanath for his ‘Modi ji ki sena’ remark made during a poll rally at Ghaziabad earlier this week. 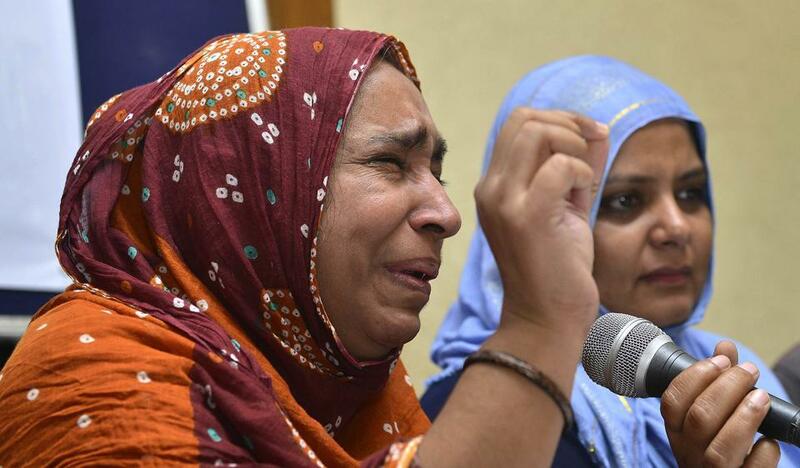 Why is Dr. Kafeel Khan in prison? Be the first to comment on "Indian Army don’t belong to any political party: Ex-Servicemen on Amit Shah ‘PM Sena’ remark"